In the restaurant and hospitality business, it can seem like every day brings a new set of obstacles and complications. From maintenance to production, it’s no small task to keep every aspect of the organization up and running well – especially when you’re charged with overseeing the entire operation. At Manitowoc, we know that simplifying even one part of the enterprise can make a profound improvement on the rest of the business. That’s why we’re dedicated to providing more opportunities for an effortless workflow in your kitchen, harnessing our thoughtful engineering and expertise for streamlined designs and functionality. To provide these practical strategies for your challenges, we’ve curated our extensive portfolio towards deliberate diversity and versatility. From modular systems to remotely-controlled units, we’re constantly innovating our intuitive designs to help your business realize its full potential. Our customized solutions provide much more than just temporary enhancements. Backed by decades of experience in the industry, our products are relentlessly reliable, built to last and withstand the daily pressures of foodservice demands. And that’s the same dependability reflected in our own strong support network, providing the consistent service you need at every stage of your business. So, no matter how complex your establishment, you can depend on Manitowoc to provide that unparalleled simplicity, usability, and effortlessness to your operation – every day. Since its inception in 1964, Manitowoc, Inc. has been on the cutting edge of technology and conservation. The Manitowoc team is committed to providing products that not only satisfy customer needs but also add value to the equipment investment by reducing costs and emphasizing food safety. Building the perfect ice machine has never been easy, but inside-of-the-box thinking is just what you've come to expect from Manitowoc. At the NAFEM show in 2013 Manitowoc rolled out the impressive NEO Undercounter, the everywhere you need ice machine. The NEO provides new levels in performance, Intelligence and convenience, in an all-in-one solution. 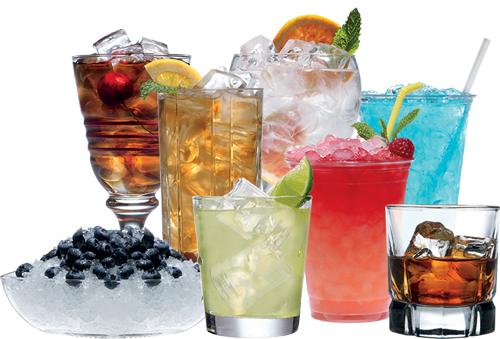 In its 360,000 square foot, ISO 9001:2008 Certified, Wisconsin facility, the company designs, manufactures and markets a complete ice machine product line with 200+ models in ice-making capacities from 65 to 3,380 pounds (30 to 1536 kgs.) per day. All Manitowoc machines use environmentally friendly non-CFC refrigerants. Many are Energy Star compliant. The product line also includes ice storage bins, floor standing ice dispensers, ice machine accessories and a group of cleaning and sanitizing items such as AuCS, Guardian, and Arctic Pure water filters. Innovation and customer support has enabled Manitowoc Ice to become America's #1 selling brand of ice machine. Man•i•to•woc (man‘a-ta-wôk) home of the Great Spirit, a city in east central Wisconsin on Lake Michigan; population 33,400.